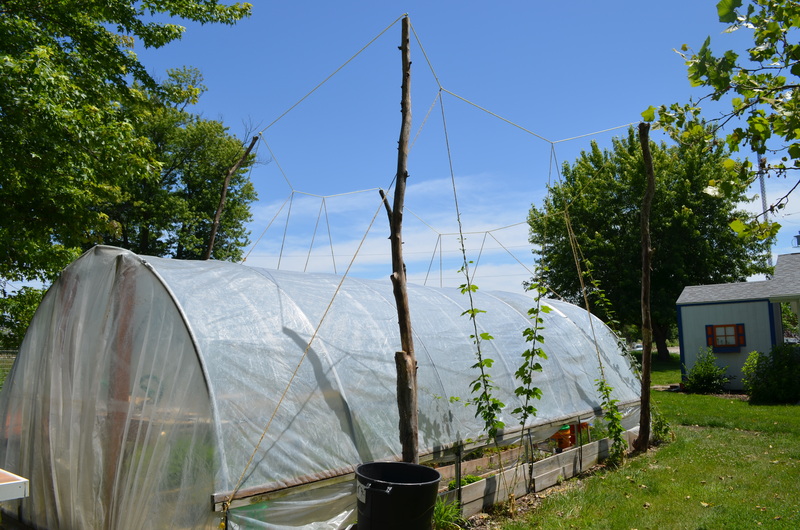 Year three of growing cascade hops and I finally invested time to install poles for the bines to properly train. Lacking money, to buy actual poles, the overgrown wooded area behind the McDonough County Extension office yielded several dead snags. Ideally, when harvesting poles for hops, select trees that are naturally rot resistant such as Eastern red cedar, black locust, or larch. 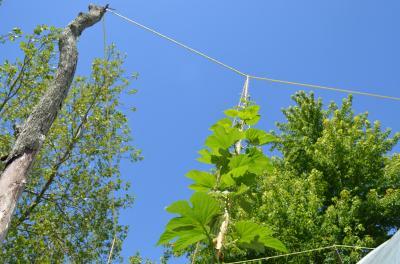 Because my venture into hops is purely experimental, I used mostly dead oak snags for poles (and they were closer). It was not long before the results returned, which led to the next hurdle- tissue standards do not exist for hops. More research uncovered a table from Colorado State University that gave minimum recommended nutrient values for Cascade hops. I could at least check to determine if any of my levels were below the recommended levels. Comparing my test results to the CSU table, the only deficient nutrient was boron by 6 ppm. More research and communication with hop growers confirmed this hypothesis. 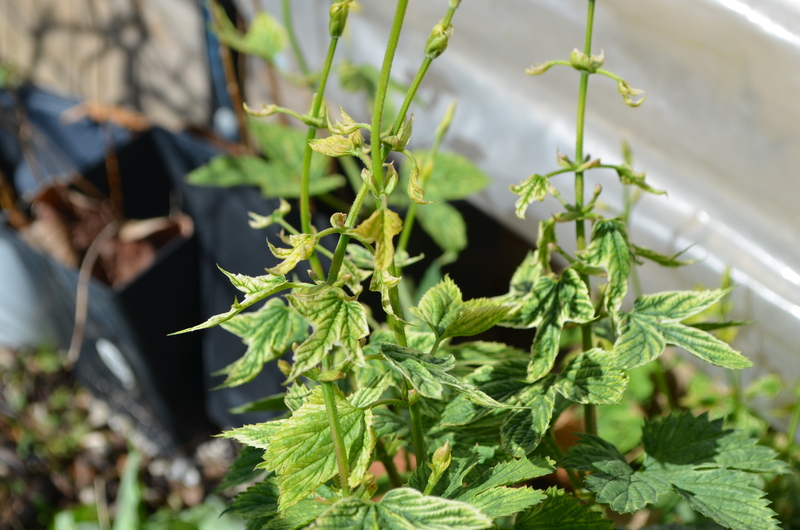 An online PDF on the topic of hops nutrient management from Michigan State University helped establish that this was indeed boron deficiency. Click on the previous link and scroll to slide 31 for comparison. For the past two years, most of my attention was on management of nitrogen for the hop plants. While nitrogen is still a critical component, don't forget about the other micronutrients. Following an application of a mixture of worm castings, blood meal, and boron fertilizer, the hops have grown out of the discoloration and are training nicely on the new trellis system. Though it should be noted the plants identified with the boron deficiency, are slightly behind the other hops.